The FCC’s set-top box plan aims to improve the viewing experience, so of course TV networks hate it. Here’s something you might not know about cable TV boxes: They’re designed to be not too helpful. The cable box's raison d'etre is to produce revenue for the cable or satellite TV company that owns it. These companies make money by charging perpetual hardware rental fees, of course, but the software also plays a role, because the TV networks negotiate preferred placement for their channels. A higher spot in the channel guide means more viewers, which means more advertising revenue, which is why there’s not always much logic to the order of channels in the program guide. So it’s no surprise that the TV industry—including operators like Comcast and media companies like Viacom—aren’t happy with a Federal Communications Commission proposal to open the cable-box market and upend the way channel guides work. In comments to the FCC, the industry has basically admitted that its revenue depends on the status quo, even if it harms the user experience. This is precisely the sort of near-sightedness that is causing the TV industry so much pain in the first place. 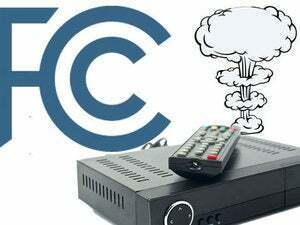 To recap, the FCC’s open set-top box plan would allow any company to build a new kind of cable box, with video delivered over the user’s Wi-Fi or ethernet network. Crucially, the plan also allows these cable-box makers to remix the traditional channel guide in any way they see fit. Imagine, for instance, a Google-powered box that creates automatic video playlists based on your tastes, or an Xbox that lets you tune into what your online friends are watching. The hope is that users would benefit not just from cheaper hardware, but from innovative software. TV networks despise this idea, because it messes with their carefully arranged channel placements they build their licensing agreements with cable and satellite providers on, the Los Angeles Times reports. The companies also worry that tech companies that entered the TV navigation market might serve up individual TV shows to consumers, such as “Empire,” “Paw Patrol” or “NCIS,” rather than an entire channel of programming. That would leave the TV industry vulnerable to the same fate as the music industry after consumers began buying individual songs rather than entire albums and CDs. Confirmed: TV networks are now vocal opponents of a better viewing experiences because there’s a chance it would cost them money. The fear is understandable on some level. Just like the CD-era music industry, TV networks grew fat and lazy on the easy revenues that came from mandatory bundling. And as with the music industry, a reckoning is now at hand as technology opens the door to alternatives. While TV networks want the FCC not to make the transition any more painful, protecting incumbent business models isn’t the agency’s job. Its mission is to promote innovation and competition, and if we’re drawing parallels to the music industry, the shift from CDs to MP3s was without question a boon for music fans. It allowed innovative new devices like the iPod (and later, the iPhone) to emerge, and it allowed all musicians to easily distribute their work to anyone. Yes, the transition to digital was rough for record labels, but it hasn’t hurt music. It’s baffling that the TV industry would even bring this analogy up. Besides, the FCC’s proposal has nothing to do with how people pay for TV channels, only what cable boxes can do with the channels that subscribers already get. The best content will win under that system. And that’s really the larger goal here. 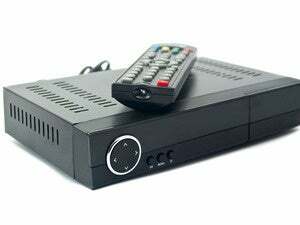 From a consumer perspective, the FCC’s set-top box proposal isn’t a panacea. 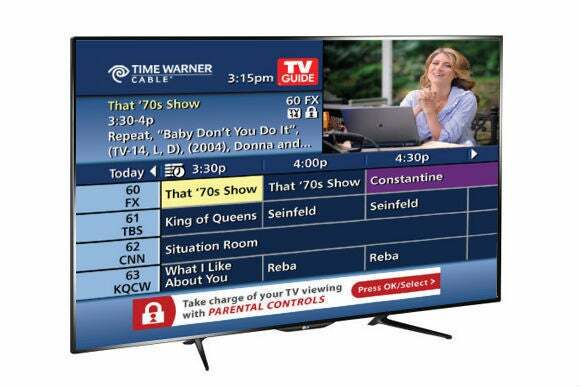 It doesn’t necessarily prevent cable or satellite providers from charging hardware-rental fees, for instance, and questions remain about how the proposal would be implemented if it’s even approved to begin with. Before long, the notion of a cable box may be irrelevant anyway, as online video continues to gather steam. Regardless, TV networks need to start thinking less about legacy revenue schemes, and more about how they can win over viewers with better programming and better viewing experiences. TV networks might argue that without the revenue that comes from placement deals and rigid programming schedules, they wouldn’t be able to make as much high-quality material. But in all likelihood, having to compete for users’ attention on a level playing field will make for better TV. After all, that’s already how things work with streaming video, and it’s how things should work on cable boxes, too.